We are skilled team of professionals from diversified disciplines in the fields of issue management, corporate & financial advisory. And we take our passion for managing different types of issues across various industries, leading to obtaining of in-depth knowledge of the regulatory framework and processes seriously. Our first priority is to promote leadership among the team members as leadership leads to better employee performance which creates a complete approach to provide solutions for our clients. Mr. Iftekhar Alam is the Head of Primary Market Services and actively handles the Issue Management, Corporate Advisory and Registrar to the Issue Services and Underwriting Business of LankaBangla Investments Limited (LBIL). He joined the team in September 2011 as Management Trainee Officer and became Head of the Department in January 2015. He has more than 6 years’ experience in equity financing through Initial Public Offering (IPO), Rights Offering and Private Placement. His vast expertise includes Private Equity and Fund Raising Solutions, Valuation of Private, Public Limited Companies and Alternative Investment Fund, Financial Modeling, Corporate Restructuring and Capital Structuring. He arranged several Road Shows for IPO successfully. He handles Regulatory Compliance issues on regular basis. He has managed the IPOs of Envoy Textiles Ltd., United Power Generation and Distribution Company Ltd. (the first Book-building Method under revised rules), Aman Feed Ltd., Evince Textiles Ltd. and Rights Offering of Summit Alliance Port Ltd. On behalf of LBIL, he played an active role in the amendment process of Bangladesh Securities and Exchange Commission (Public Issue) Rules, 2015 and Public Issue Application Process. Mr. Alam again played a significant role about the successful completion of the IPO of aamra networks limited under reformed Book-building method. Mr. Alam started his career in the Capital Market in year 2011 as a Research Associate in Zenith Investments Limited. He completed his BBA and MBA in Finance from Department of Finance, University of Dhaka. Md. Khaled Hassan has diversified experience of dealing with Equity Financing, Investment Analysis, Financial Modeling, Corporate Advisory, Corporate Governance Structuring, Financial Consultancy, Corporate Restructuring, Merger & Acquisition and many more. 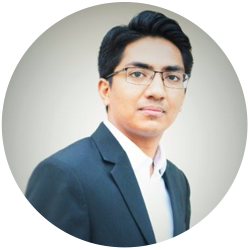 He started his career in Finance and Control at Nestle Bangladesh in 2013 as a Treasury Specialist where he gathered expertise on Fund Management, Financial Reporting, Planning & Budgeting and Operational Accounting. Afterwards, he joined LankaBangla Investments Limited (LBIL) in 2014 and currently working there as a Senior Analyst. He gained expertise in Information Technology, Service, Engineering, Fuel & Power, Textile and Financial sectors throughout his career in LBIL. He has successfully completed a number of projects and mobilized fund worth BDT 9,699.35 Million (as on December 31, 2018). The IPO of aamra networks limited under the reformed Book-building method, Rights Offering of Summit Alliance Port Ltd and GPH Ispat Limited are some of his notable projects. Khaled completed his BBA in Accounting and Information Systems and MBA in Management Accounting from Faculty of Business Studies (FBS), University of Dhaka. Currently he is enrolled in CIMA. He spends his leisure time watching football. 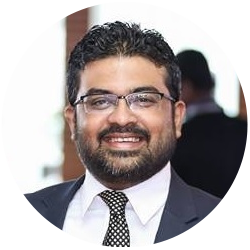 Kazi Tawseef Rahman joined LankaBangla Investments Limited (LBIL) as a Senior Analyst in October 2018. 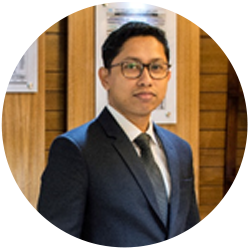 Prior to joining LBIL he started his career in the Corporate Finance team of KPMG Rahman Rahman Huq in 2016 and gained experience in Advisory and Deal Management services. During his time at KPMG, he had advised and provided assistance to clients in transactions raising capital involving private equity. He had provided assistance to ASA International Group PLC getting listed at the Premium Listed Main Market of London Stock Exchange. Furthermore, he worked as a consultant for United Nation Development Programme (UNDP) devising a financial management tool for Small and Medium Enterprises (SMEs) to better access capital. Mr. Tawseef is passionate about raising capital for large corporation and growth focused SMEs and attract foreign investment in our country. He is also interested to develop the field of Corporate Finance and the Advisory profession in order to build capacity to support the growing need and growth of our vibrant economy. He has completed his BA (Economic & Social Studies) Hons in Accounting & Finance from the University of Manchester and currently pursuing ACCA qualification. 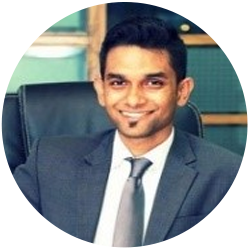 Estiuque Uddin joined LankaBangla Investments Limited (LBIL) as an Analyst in December 2017. He started his career in Max Infrastructure Limited, a leading heavy infrastructure development company in Bangladesh where he gathered experience in the field of Financial Reporting, Analyzing, Budgeting and Project Development Strategies. Being a running CA professional, Estiuque has gained ample knowledge on various local industries and equipped himself with professional skills in Financial Reporting and Accounting as per local & international guideline, Income Tax laws, International Accounting Standards, Company Laws and Accounting Software’s. He has experience in assisting and conducting Revenue audit, Regulatory audit and Special audit of various Manufacturing companies, Banks and NBFIs along with the technical expertise of handling Income Tax work, Service Tax work and VAT assignments of Various organizations. Estiuque has completed his BBA in Finance & Banking and MBA in Finance under Department of Finance & Banking from Faculty of Business Administration (FBA), University of Chittagong. Currently he is enrolled under ICAB and have successfully passed Knowledge level. 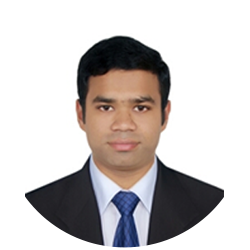 Hossain Md Hasibur Rahman is an Analyst at Primary Market Services, LankaBangla Investments Limited. He has joined the team in August 2017. Prior to joining the team, he was an intern at Bangladesh Securities and Exchange Commission. Currently, He is assigned with preparing Initial Public Offering (IPO) strategies, Valuing Alternative Investment Funds and comprehensive financial analysis for companies of different arenas. Moreover, He has immense interest to work in investment banking industry and holds a vision to bring vibrancy and sustainability across the industry. Mr. Hasib obtained many awards for distinction in academic fields and extra-curricular activities. He has completed his undergrad in Finance from University of Dhaka. He successfully passed CFA level 1 exam in June 2017. Md. Milton Hossain is an Executive at Primary Market Services (PMS) of LankaBangla Investments Limited (LBIL). He joined LankaBangla Investments Ltd. in April, 2018. Before joining the team, he was an intern in (LBIL) under Primary Market Services for three months and closely observed some of the activities of PMS of LBIL. He has tremendous interest to work in merchant bank and strong prostration for the continuous improvement of the industry. He was appraised and rewarded in academic life by different boards and authorities for outstanding achievements. He has completed his B.BA in Finance from Department of Finance, University of Dhaka.